Sorry if I missed this somewhere. I get at least a few airballs each game. Anyone else seeing this? Had my pro for a month now, never have had an airball off the left ramp. Maybe something to do with the LE having a lifting ramp? Yes happens a lot. Looks like stern tried to fix it with the clear plastic above the beginning of the ramp. What is your playfield level? I have my back legs almost all the way up and the front levelers all the way down. I don't have air balls from the left ramp but occasional air balls from the right ramp as it exits the 'rollercoaster' on the left hand side. I have the LE. Many left ramp air balls. Sorry I have the pro. I would check and make sure a screw head isn't exposed. Perhaps the lip of the lift ramp is exposed causing the ball to change direction. Not something I'm seeing, can't even remember them happening at all, so definitely not many times per game. Mine is leveled by bubble only. The first part of the left ramp on the LE raises up to expose bicycle girl. The ramp "flap" on mine is very close to the rt post and fairly far from the left post. I think the ball can hit a bit of the flap before hitting the outside of the rt post thus causing air balls. I was looking at it to see if I could move the flap closer to the middle of the posts. But I don't think so. Hmmm my ramp is touching the rt post. I get many air balls as well when I play on the left ramp. I even sometimes hit the right ramp too hard and the ball just flys off the track! It is pretty bad and a bad design or horrible QC during testing. 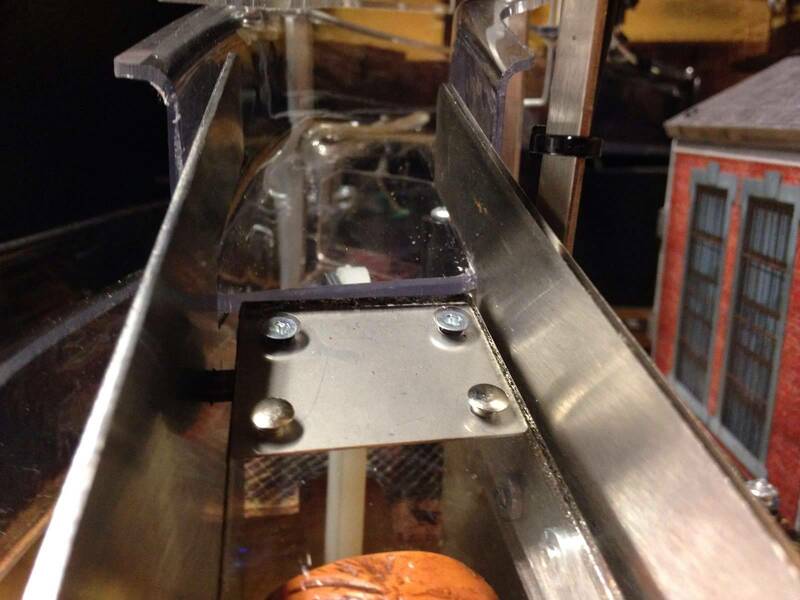 It looks like the ramp will wear through the Mylar pretty quick and start some pf wear there too - already scratch wear on factory Mylar before I played one game. The ramp flap when down looks like it is at too steep of an angle with a slight lip causing the air balls. I have balls constantly getting stuck in the back of the ramps behind the back box where I have to give the machine a decent shake to free. This usually happens on left ramp shots. Will have to look closer tomorrow to check pitch, but pretty sure machine is between 6.5-7.0. Game does not feel off on left/right, but going to check again. Yup, figured it out right away. The plastic ramp is just a smudge higher than the left ramp up/down flat plastic giving it a hop/jump effect when the ball hits it right at the spot where the 2 meet each other.. The metal standoff is too tall on the right side. Only thing I see working is removing that long metal standoff and grinding it down to make the edge level with the flat up/down ramp. I fixed this on my game by taking out both hex spacers on either side of the ramp and then putting them back in / screwing them down in a way that minimizes the gap between the lifting ramp and solid ramp. Here's a before picture. After I remounted everything it sat a lot more flush and the game plays much smoother. Will Stern ever Learn? This is another bummer QC issue that should have been caught at the factory. zucot is correct on the fix. Mine came with no screw in the right post but looks exactly like the picture. Check your crossbows too. Mine was missing the bracket that keep the coil sleeve in place. I've only had one airball so far that actually flew off the ramp, but I have noticed that the ball sometimes slows down behind the playfield. It even got stuck behind there once. I was thinking that it may have gotten some air and then decelerated because of it. Zucot, do you have an after picture as well? I'd like to see how yours is sitting so that I align mine correctly. Thanks. People rave about how many pins Stern can crank out daily. This is the result when output matters and QC takes a back seat. mine will launch and hit the glass, hit the sign above the ramp, slam into the side of the cabinet and one flew across the playfield and rolled down the ramp return. It launches of my flap like it's too steep. Mine feels pretty smooth from the flap to the ramp - not anywhere close to like the photo above. Hope stern comes up with something or will give me new ramps and plastic set if it breaks something. 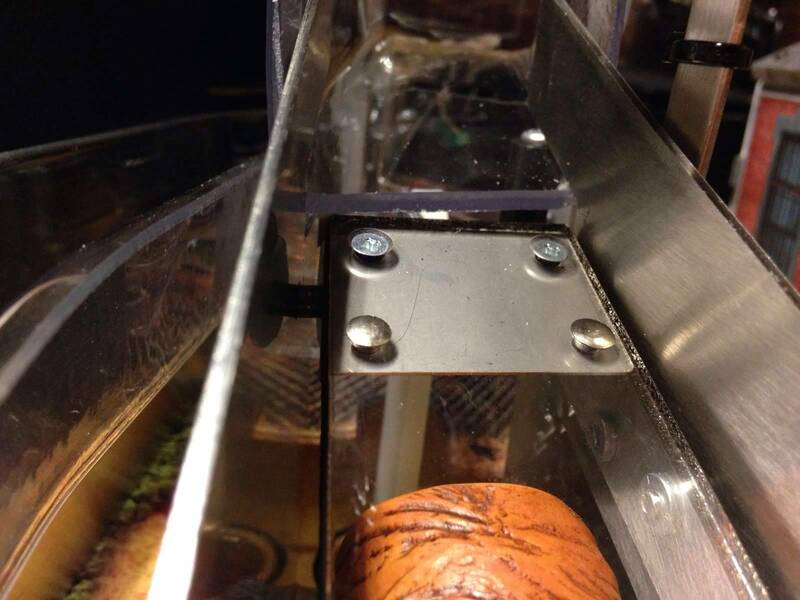 Has anyone put anything down under the ramp flap to protect the playfield? It seems like there is some mylar already there from the factory, but I'm thinking that another layer of something might be needed. I'm going to put down the "cling vinyl" clear sheet. Use that on all my pins, works great. I'll take an after pic when I can get back to my game room. 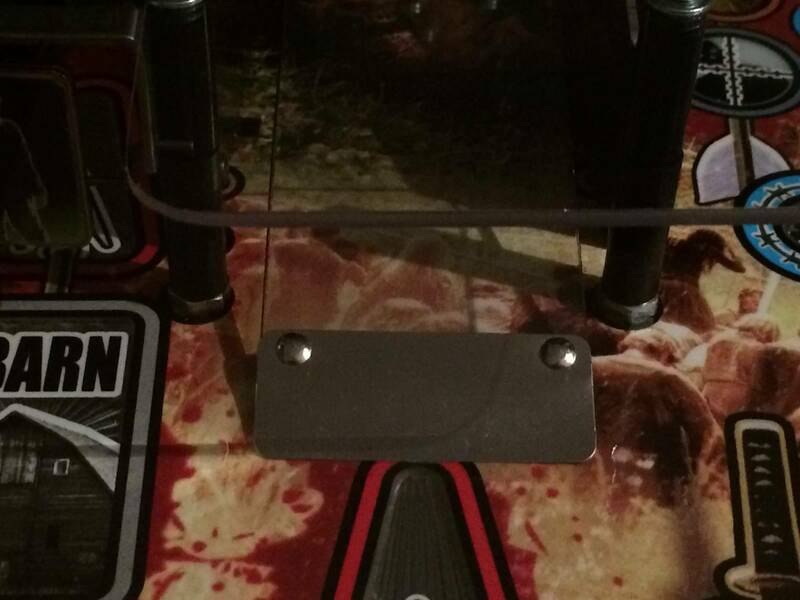 Is your game missing the clear plastic that covers the left half of the beginning of the non-lifting part of the ramp? It kinda sounds like it. I have the clear plastic that covers the left half and I'm still getting airballs on a regular basis. No air balls at all. None. Me too, I haven't had one yet. Sometimes after a fast shot up the right ramp it might bounce out of the rollercoaster style bumps but in 50 games that's only happened a few times so not a big deal. Interesting. What I noticed, was that if I hit the left side of the ramp, it would pass no problem. However, a shot right up the middle or on the right edge of the ramp would airball or come back down the ramp. My machine looks similar to zucot's picture. Time to adjust the hex posts, or make modifications to them. That's because the rusty balls you're using have a high drag coefficient. Shine up yer balls man, and watch them fly! Thanks again to Stern's dilligent Quality Control Department(AKA, their customer base) for sorting all these issues out. Tell me more about this "cling vinyl" ... Inquiring minds would like to know. Me too. Where can I buy it, and does it remove easily without damaging the playfield? See Ramjet link, I've been using this stuff everywhere on my pins for over a year and its great! Cut a piece to the size you want and lay it down, clings to the play field, shooter lane, in lane, wherever you want, works great! Perfect for that ramp area. Lay it down, pick it up, ZERO damage to play field or anywhere else. Just protection. Yep same stuff, I can send you a piece if you like. If that doesn't hold over time (I just put mine on), you can always use another piece of mylar over the existing mylar. I have that too if you want. Here's my after pic. I have had one airball in 10 games. Used to get airballs every ball. Here's my after pic. I have had one airball in 10 games. That's about how mine looks from the factory.